Merino wool socks are the finest on the planet. We use only extra fine micron count wool with the inherent ability for temperature regulation, moisture management and bacteria resistance. Our heel and toe are reinforced with nylon to give you the extra durability you need. Merino wool and nylon blend for maximum breathability. Rosso extra smooth looped toe seam (incredibly durable and comfortable). Reinforced heel and toe for added durability and years of enjoyment. 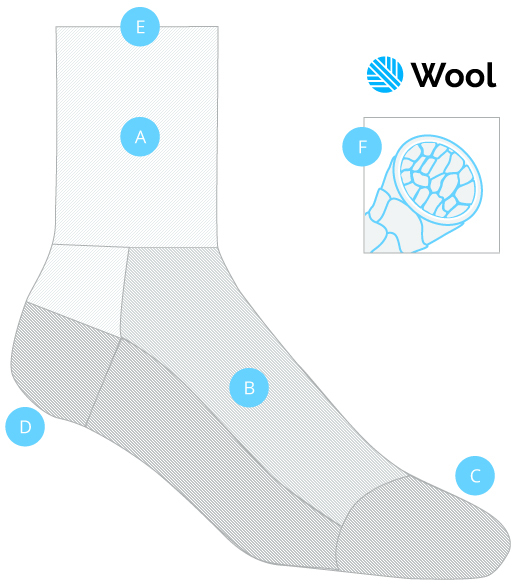 Is used throughout the sock providing gentle support and comfort all day long. 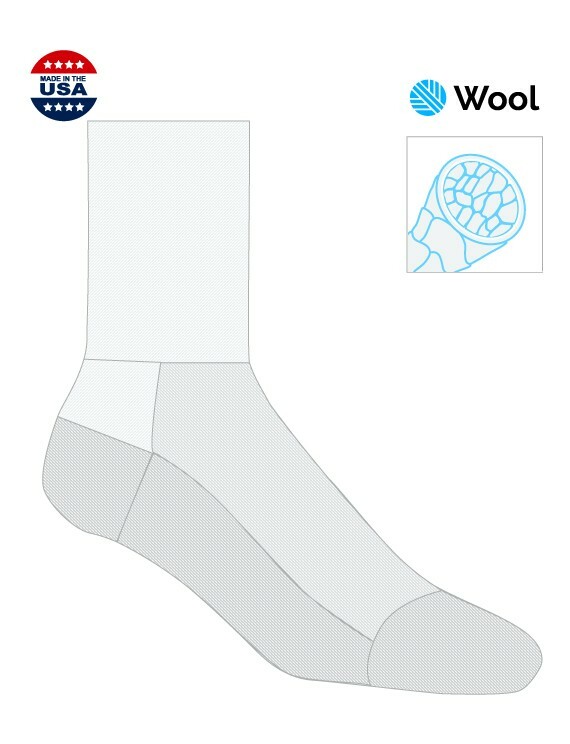 Extra fine micron fiber and a high needle count sock construction provide the softest and most durable sock available.The wool fiber holds up to 30% of its weight in moisture while the tile like exterior is water repelling.This combination keeps you feeling dry and warm in all your activities..